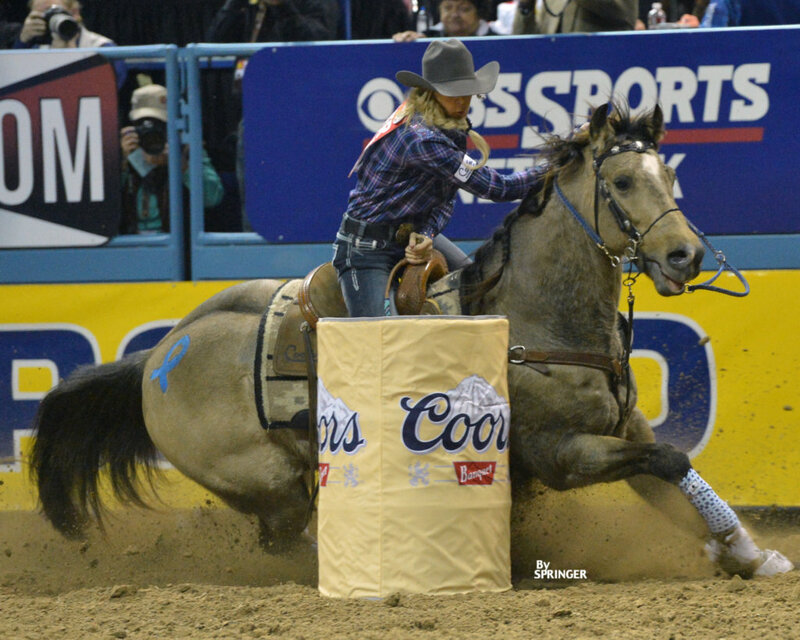 Professional Barrel Racer, Taylor Jacob, won WPRA Rookie of the Year in 2013 on her horse, Honor Thy Frenchman “Bo”. 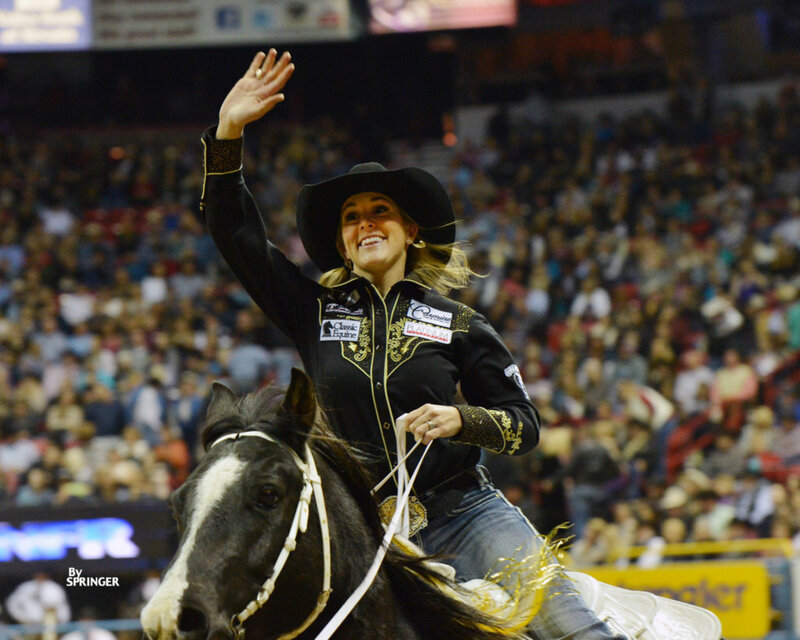 This made her the first rookie since Brittany Pozzi in 2003 to win this title and qualify for the NFR all in the same year. With a 13.37second run, Taylor and Bo won four out of seven rounds; this set a new arena record in the sixth round of the NFR. The talented athlete also finished in the top ten for WPRA World Standings in 2015. The journey began early for this Texas native when she started participating in youth rodeos around the age of 5 years old. During her collegiate rodeo career, not only did Taylor compete in barrel racing, but she also participated in breakaway roping and goat tying as well. Taylor graduated from Round-Top Carmine High School in 2009 and later went on to graduate with a degree in Communication from Texas A&M University all while continuing to focus on her rodeo career. Taylor proves this as she is a four-time qualifier for the College National Finals Rodeo. 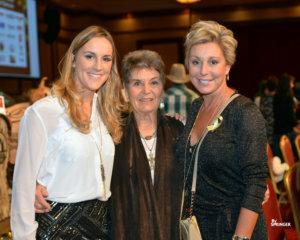 WesternWomen.com sat down with Taylor in between rodeos to ask her a couple of questions. We think you’ll like what she has to say. 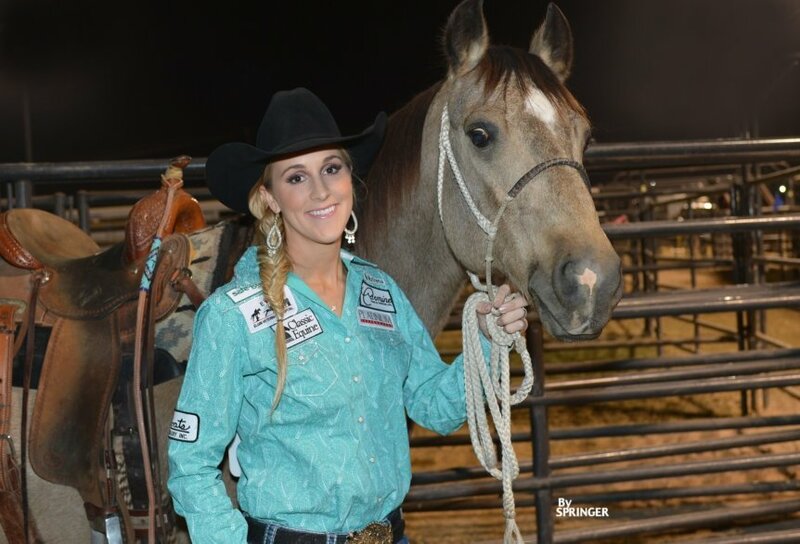 Taylor: My greatest achievement would be setting the arena record at the 2013 NFR as the WPRA Rookie of the Year. What is the moment you’ll remember forever? Taylor: I would say a moment I will remember forever was the moment I realized after winning the Lufkin, Texas Pro Rodeo that my horse, Bo, was great enough to possibly qualify me for the National Finals Rodeo. Taylor: Hard work will pay off. What advice or words of encouragement would you give to other Western Women? Taylor: Sometimes going the extra mile will be lonely, but that is where you can set yourself apart and great things will happen. What is your favorite competition venue to compete at? Taylor: Without a map! I love to look at maps and study them. Taylor: Any beach or ski slope! Taylor: I love to watch murder documentaries.